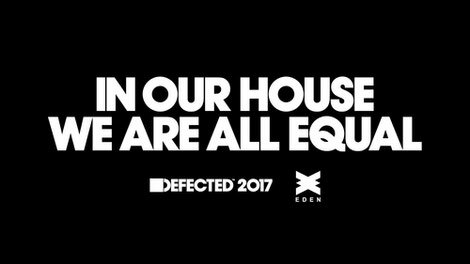 Defected Records believe that house music brings people together, that clubbing experiences should be enjoyable, affordable and inclusive. The label strives to make their parties full of great moments, uniting clubbers, through top music selected by the label’s DJ/producers in some of the top clubs across the world. This summer Defected In The House returns to Ibiza and the clubbing capital of the universe. The gateway for many visitors’ first Ibiza experience, San Antonio has a fresh, up-for-it crowd who represent the future of clubbing culture. San Antonio was recently announced as its ideal home for their 2017 season at the heart of one of the island’s most accessible venues - Eden. With its apparent rich heritage, Eden is possibly Ibiza’s sleeping giant. With more than 20 dates and a programme of international DJ talent to follow, the label takes up residence every Sunday from 21 May 2017.